Who doesn’t love a good appetizer..I mean I do and so do my boys! Kids are the life of every party and gathering. Whether you are fixing up something tasty for a birthday or cookout you gotta have kid friendly appetizers…and adults love them too! Here are 55 easy recipes that will be a total hit for everyone! 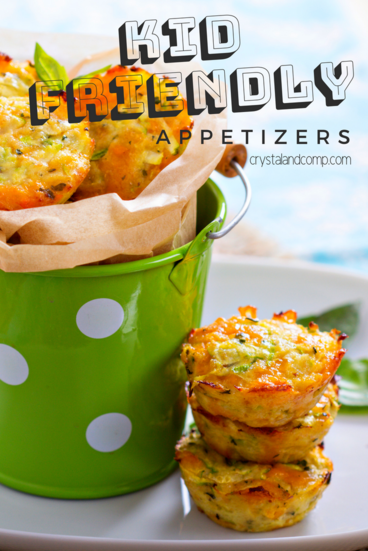 What is your go to appetizer for kids? Thanks for including my Low-Carb Cheesy Baked Cauliflower Tots.